« Vive9 – Closing SALE!! 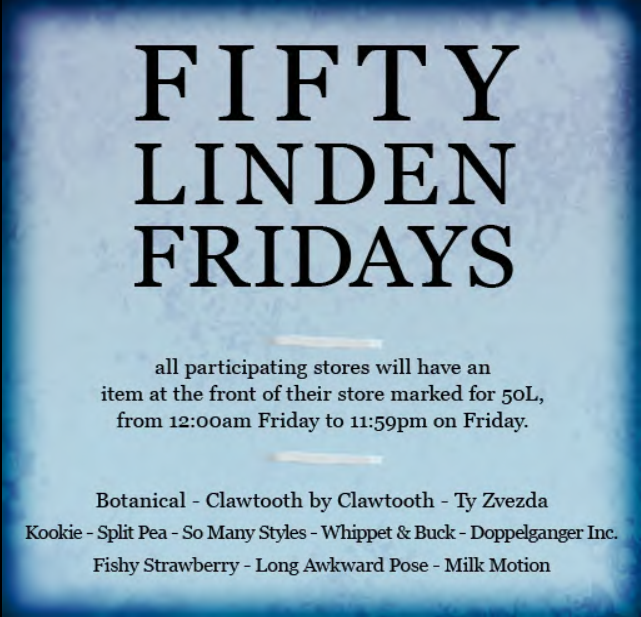 Fifty Linden Friday # 33! !